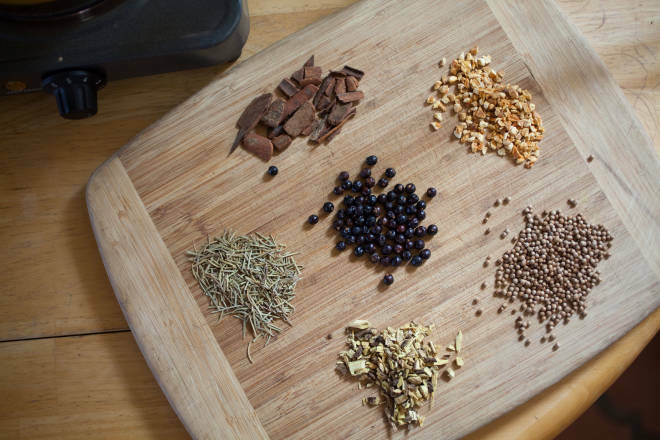 Above: The ingredients for gin: cassia, rosemary, juniper, star anise, orange peel, coriander, angelica root, and licorice root. Photograph Courtesy of Dry Point Distillers. It took 18 trials in a one-gallon still to get the Monsoon Gin “bottle ready,” says Chris Schaefer, co-owner, with his father, Stephan, of Dry Point Distillers, in Las Cruces. That was when the pair could finally scale up production and generate enough stock to mix signature drinks at their 15-seat bar and sell it in 750-milliliter bottles. 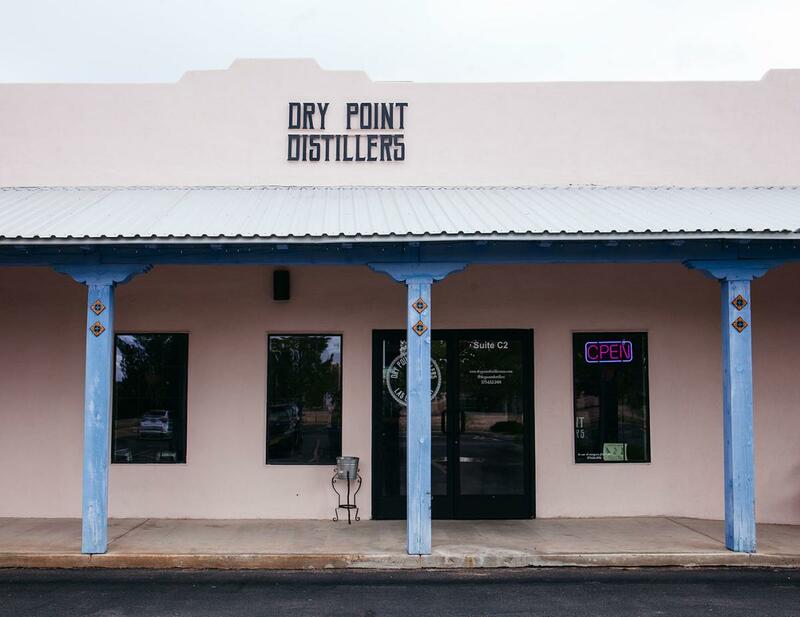 Dry Point, a reference to the region’s geography, is the only distillery in Las Cruces. Like mad scientists, both Schaefers have become accustomed to the fickle but fruitful alchemy that comes with making spirits. Dry Point has “a semi-open fermentation process, which means that we have yeast in our environment that is growing nowhere else. It’s similar to what wine connoisseurs would call terroir,” Schaefer says. For anyone who throws back the pair’s Monsoon Gin, the taste will prove inimitable, precisely because of the way the yeast ferments with the eight unique botanicals in Dry Point’s recipe. This combo-deluxe of environmental factors, creative concocting, patience, and a well-honed palate make Dry Point thoroughly particular to the state’s southwestern region. The Fitzgerald: Monsoon Gin, lemon juice, soda water, and a house-made bourbon cherry.